In Episode 2, Jake Fisher finally gets inside the secret town of Ostium and sees the many doors up close, and then ventures to find out what is behind those doors. Written by Alex C. Telander. Interstitial music pieces by Chris Fletcher. Sound effects courtesy of Freesound.org and Soundbible. 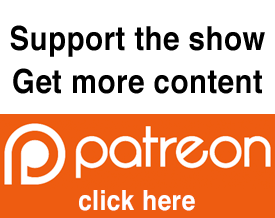 To help support Ostium, please visit our Patreon page where you’ll find lots of perks like mini episodes, transcripts with original artwork, music, and more.